Compatible Xerox Solid Ink Sticks, Cyan, 3,400 page yield. Replaces Xerox part number: 108R00723. Solid Ink Sticks compatible with Xerox Phaser 8560. Qualifies for free shipping & earn 85 points! Compatible Xerox Solid Ink Sticks, Magenta, 3,000 page yield. Replaces Xerox part number: 108R00670. Solid Ink Sticks compatible with Xerox Phaser 8500, 8550. Compatible Xerox Solid Ink Sticks, Magenta, 3,400 page yield. Replaces Xerox part number: 108R00724. Solid Ink Sticks compatible with Xerox Phaser 8560. Compatible Xerox Solid Ink Sticks, Yellow, 3,400 page yield. Replaces Xerox part number: 108R00725. Solid Ink Sticks compatible with Xerox Phaser 8560. Compatible Xerox Solid Ink Sticks, Black, 3,000 page yield. 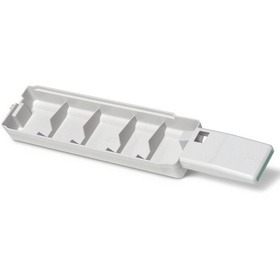 Replaces Xerox part number: 108R00668. Solid Ink Sticks compatible with Xerox Phaser 8500, 8550.